By now, your classrooms are all set up, decorated and in full use by your students! But I have a question to ask you: Is your classroom Literacy-Rich? During my tenure as a district literacy trainer for Douglas County Schools in Colorado, I trained hundreds of elementary and secondary teachers in a program for best practices in teaching literacy that we called LIFT (Literacy Instructional Framework for Teaching). This program was based on the program, California Early Literacy Learning. One of the most important components of LIFT was ensuring that teachers, especially those in elementary schools and teaching secondary Language Arts, had a “literacy-rich environment” in their classroom. Dr. Kimberly Tyson defines this environment as: “a setting that encourages and supports speaking, listening, reading, and writing in a variety of authentic ways – through print & digital media”. During our LIFT training, we focused on the following components of the “LRE”: classroom materials, classroom design/layout and reading and writing through authentic activities. This how NOT to do a classroom library! Sadly it was mine back in the 90’s, a rolling cart with books on both sides. Ugh! The classroom materials necessary for an LRE include books, books, and more books, as well as other print materials: magazines, comic books, online reading material, as well as print on the walls, writing materials, and displays of student work. During our training sessions, I spent a great deal of time discussing classroom libraries and how best to make them inviting, organized and useful. As an elementary teacher back in 1994, I had never been taught how to set up an effective classroom library, and mine was appalling, as evidenced in this photo. Yup, that’s it..both sides of the rolling cart filled with books! Inviting…NO! Organized…NO! At our training sessions, I began by asking our teachers this question: Is the classroom library inviting, providing a range of quality books at all appropriate levels? However, it’s not enough to have an inviting classroom library, it needs to be organized! Teachers can use many methods to organize…using bins/baskets separated by popular authors, levels of books, topics, etc. There must also be a clear and easy check-out system. Check out the photo gallery of some exemplary classroom libraries! Sarah’s 4th grade classroom library! Classroom library in Renee’s 2nd grade classroom. Classroom Materials: Words All Over the Place! “A print–rich environment is one in which “children interact with many forms of print, including signs, labeled centers, wall stories, word displays, labeled murals, bulletin boards, charts, poems, and other printed materials” (Kadlic and Lesiak, 2003). All grade levels need to have a great deal of print on the walls that assist students with (depending on the grade level) the alphabet, sight words, phonics concepts, writing and content vocabulary. Of course, you can buy commercial posters, make some online, or print on chart paper. But more ownership comes when these materials are created with the help of the students through Interactive Writing (sometimes also called Shared Writing). Check out the interactive writing that students can continue to refer to during the school year…(these were all taken in Douglas County School District classrooms during my literacy training years, 2006-2009). More on interactive writing, including how to use it with older students, and in content areas, in a future blog! I even tried to maintain a print-rich environment in and right outside of my offices once I left the classroom! This was a display in the hall outside my door for our upcoming all-school Star Wars Day my GT students were planning! And don’t forget Word Walls! There are so many ways to create word walls: on the wall (of course) personal word walls, or electronic word walls. Content area classrooms in secondary schools should have them too and so should art, music, and PE teachers! More on Word Walls in a future blog! A Personal Word Wall that I had one of my tutoring students create on Padlet for her self-selected words in her book. We then use this wall for various activities to help her not only learn the words but retain them. Word Wall using a felt backdrop; perfect for teachers who track in & out of classrooms! Abby Schmitz’s personal sight word rings for her 2nd grade students. Another question teachers need to ask themselves is: Does the room arrangement support all literacy activities of the instructional framework? How your room is set-up can affect how successful your literacy activities are! What area will allow for a large enough classroom library, where students can both read and browse for books? Where will content print be hung so that students can use as a reference? And most importantly, where is your whole class meeting area? This is something that I never had in my 90’s intermediate classroom; again, I had never been taught or told to have one! But in my classroom visits, I saw the power of this space, not only in primary classrooms but also in intermediate! These areas are used for read-aloud, shared reading, interactive writing, interactive editing (all topics coming soon to this blog!) and mini-lessons. And of course, they can be used for class meetings as well. You also need an area for your small group instruction work. Check out some ways teachers have designed their whole-class meeting and small group instruction areas! This was my small group area in the RtI classroom at my school! Here is Abby’s Guided Reading area! Kelly’s whole class meeting area for her 5th graders. Finally, a literacy-rich environment needs to include authentic literacy activities, not ones created by publishing companies (disclaimer: nothing wrong with using these occasionally, but authentic stuff creates better readers/writers!). NWEA states that: “Authentic learning occurs when activities or projects offer students an opportunity to directly apply their knowledge or skills to real-world situations.” So what are examples of authentic literacy activities? Here are a few ideas in the slideshow below: daily class or personal news, novel character texts (I used http://ios.foxsash.com/), real text from tutoring student to parent using a vocabulary word, thank you notes, a character “Fakebook” page using Classtools.net, or this Google Doc template, and an Instagram template! For more ideas, check out my Pinterest board on the Literacy-Rich Environment for even more! And that’s a wrap for this week! I would like to thank the following teachers for sharing photos of their classrooms! The many K-12 Douglas County School District teachers who attended my literacy training sessions (LIFT) from 2006-2009! Literacy Resource Update: Ideas for Classroom Teachers and Tutors! JUST FOR YOU…TWO FREEBIES COMING UP…a graphic organizer to use after reading Newsela articles (or other types of articles) and a Vocabulary/Spelling City Progress Log! Here are my updates for my previous post on literacy resources! Update on Newsela…I “waxed poetic” on how much I love this website in that previous post, and now it’s gotten even better! I’m not sure how long they have offered the units feature, but I just happened to discover them recently! (The link to the units only offers info on history units, but they have added much more! The units feature several articles (grouped in a Text Set) and teaching ideas to go with them. I chose to use the unit on Technology with my 8th-grade tutoring student, but they also have units on U.S. History, government, civil rights and ancient civilizations. The units come complete with guiding questions, student activities, and even a culminating project! In addition to the units, each article on Newsela offers a writing prompt for practice in constructed writing responses, and some articles have Power Words, defined as: “Power Words are research-based, high frequency, high utility vocabulary words used across a range of texts.” Students can click on the words to discover the definition. Check out more information HERE. I also revised Newsela’s summer reading graphic organizer (left) for my students to use after reading Newsela articles, with areas to put their scores on the quiz, a summary, and a reflection. (That’s one of the FREEBIES FOR YOU…KEEP READING TO SEE HOW TO GET IT!) For the summary, I am using the $2 Summary technique I learned from a 6th-grade teacher/colleague. The basic premise of this type of summary is that you write what the article is about (or the main idea) with just enough detail that the reader clearly understands what it was about. Each word in the summary (excluding the title) will “cost” the student 10¢ and they need their finished summary to cost as close to $2.00 as possible! Check out my 4th-grade student’s summaries in the photos above. I also think the reflection piece is important…the articles I have students read are about important or interesting topics, and I want them to reflect on the content they read. Self-Chosen Vocabulary: As students are reading books and articles, I have them either use small colored tabs to highlight unfamiliar words, online highlighting or list on their reading logs. This will personalize vocabulary instruction and lets students learn the word using the context in which it was written. I help students discern between words they are likely to encounter again in text or the world and words that they will not, such as words that are scientific, outdated or obscure. I then add their words into a list for them on Spelling/Vocabulary City. I give them choices on what activities (my personal favorite is the game show, Word-o-Rama) they want to use, but I always have them start with the Flashcards so they can learn the words. The students and I keep track of their progress with the activities and tests, and to help with this I created a log (CLICK ON THE FREEBIE AT END OF POST!) for them to track their progress and scores; this helps them take ownership of learning and success. Academic Vocabulary: For students who are two or more years behind in reading and vocabulary skills, I will assign them Academic Vocabulary lists on this website. It’s so important that students learn the words they will see over and over in academic settings! Spelling/Handwriting: Many of the activities and games are printable! For one of my students, I printed out a list of the words he misspelled on his benchmark writing assessment. This is written on writing paper with lines, so he was able to practice not only the spelling but handwriting skills as well! That’s it for my Literacy Resources update! Comment below if you use these resources or have other ideas! Below are the images you can click on to get either the Newsela Log or Vocabulary/Spelling City Log…or both! Both will shortly go on sale on TpT, but you can get yours NOW! See you next week! Click HERE for the Newsela Log! Click HERE for the Vocabulary City Log! Author Jan AnttilaPosted on August 20, 2018 September 15, 2018 Categories literacy, Newsela, reading, teachers, teaching, Uncategorized, VocabularyTags literacy, Newsela, reading, tutoring, Vocabulary, Vocabulary CityLeave a comment on Literacy Resource Update: Ideas for Classroom Teachers and Tutors! Improving reading fluency in young readers….that was the challenge for me when I was hired at an elementary school in Douglas County School District as a Literacy Specialist and was tasked with creating a school-wide reading intervention program with eight paras and 150 students on an Individualized Reading Plan (ILP) (now called a READ plan in Colorado). Many of those 150 students had issues with reading fluency. At this point in my career, I had never specifically worked with struggling readers. I had taught high school English back in the early 80s with no training in my teacher prep program in how to help struggling readers. Oh yes, I did teach a class called “Remedial English”, but all that meant is I was given a different set of books. I don’t remember much of what I did in that class 24 years ago! Flash forward to 2009 and I had to do some quick study on how to help these readers. The next eight years was an incredible growth opportunity for me as I learned new methods, techniques, and programs for helping struggling readers. I took many classes, read books and journal articles and most importantly, learned from other teachers and the students in our reading intervention program. My passion became helping those struggling, non-fluent readers become not only proficient readers but also passionate readers. What I saw in working with many older struggling readers is that some had somehow not been able to master phonemic awareness and phonics skills successfully, and that was impeding both fluency and comprehension. Others had mastered those two elements but their struggles with fluency made them discouraged and not a fan of reading. I tried many different methods, some successful, some not. To save you, the hard-working teacher time, here are my favorite resources and methods for helping non-fluent readers. Assess the student using a benchmark (or interim) assessment…and one that preferably has national percentiles. You will not be able to show progress unless you get this first benchmark. I used either the AIMSWeb curriculum-based measurement (CBM) for oral reading and recorded how many words were correct in on minute. You can also use the Reading a-z fluency passages. With an AIMS account, you can access their oral reading norms to find where in relation your student is compared to other students at the same age. Many teachers at my schools relied on these norms to help us make many decisions, including possible Sped testing, or removal from the intervention program. Once benchmarking is done, you can determine if intervention and progress monitoring is needed. For students not entering intervention or receiving progress monitoring, more data will be gathered at the next interim assessing period. For students who need intervention, you need to set up progress monitoring. We used the AIMSWeb progress monitoring passages and used either their browser-based scoring system to keep track of scores/percentiles, or created a spreadsheet to keep track. If you are doing this as an interventionist, it is important to keep classroom teachers in the loop with this data so they can share with parents. Stopping at every miscue? Analyzing miscues? Okay, you may think I am heartless…but with kids who consistently miscue in a reading passage, I will sometimes wait until the end of a sentence or paragraph to stop them, but most often I will stop them immediately after they make a miscue. Why? Because there are many reasons a reader will miscue. Many are just word calling and not making meaning out of the words they are reading. Their brains start going faster than their mouth and the brain will quickly substitute a similar word. If you wait too long, the moment is lost…the brain and mouth have moved on. Next comes the miscue analysis…also so important! Below is a sample running record form from Reading a-z. Check out this video for some guidelines and click HERE for a blank running record form (Reading a-z also has blank ones available. Cathy Collier, in her blog: The W.I.S.E Owl has some great information on TYPES of miscues. When they are still struggling….it’s time to check into vision issues. I wonder how many students have struggled in school because of vision issues? I’m not talking about the eyesight issues diagnosed by optometrists, but ones that may go undetected for years, such as visual tracking or eye teaming problems. In the last ten years, many optometrists and ophthalmologists have partnered with vision therapy experts to offer service to children (usually at some high fees, but check with your vision insurance). However, one benefit of seeking professional help is possible assessment with a Visagraph that tracks and records the movement of both eyes. It’s really similar to a benchmark or interim assessment; it provides the data needed to set up a plan of interventions and progress monitoring. I invited someone to come in on a professional development day and demonstrate this amazing machine, and I can safely say it “wowed” my audience of veteran teachers. In addition, the student (in the photo below we used a teacher as a student) gets to wear those really cool sci-fi type goggles! I worked with several students over the years who had visual tracking issues, and it was beneficial to team with the occupational therapist at my school for some ideas that I could easily do during my small group time. Most OTs are willing to teach you and your class some simple eye warm-ups to get the eyes to team together better. In addition, Reading Plus offers online intervention and instruction where students read text using a guided window that moves across the text, graying out most of it and focusing on just the words being currently read. The speed decreases or increases depending on assessment results. In addition, the iBalance component helps increase reading speed, stamina, and visual tracking skills. I’ve also found that giving students some color overlay strips, or even just a white index card with a solid black line at the top can help kids track text better. In my tutoring “super backpack”, I always carry a few visual tracking aids for students who need this! Finally, here are a few more accommodation ideas from Understood.org. 6. Reader’s Theater…need I say more? Hmmm….let’s see, students practicing reading text over and over – of course, that will practice not only oral reading fluency but also reading expression! You can find plenty of scripts available online, such as this site, which not only has scripts but many lesson resources on using RT in your classroom. My favorite place to find RT scripts is Reading a-z; high-quality scripts and many are multi-leveled so your students are not always in the same group with same level readers. (Note: There is a yearly fee to join Reading a-z). Don’t forget poetry! Reading poetry, especially ones with a rhythm and rhyme helps to increase fluency. Get kids to learn and memorize favorite poems and then host “Open Mic Night” at a Poetry Cafe in your classroom! 7. Reading aloud…not just you, the teacher, reading aloud (but you do serve as that model for good fluency), but your kids reading aloud to each other and kids in younger grades! Again…REPEATED READING! Students can choose their favorite read aloud to share with the class in a “Reader’s Chair”. You could film or audio record kids reading their favorite read-aloud books, and post on the school’s website to serve as bedtime stories for other kids! Some of the best books for reading aloud AND improving fluency can be found at THIS site. Dr. Seuss books are perfect for developing fluency skills; in fact, I think my daughter perfected her fluency by memorizing The Foot Book. Silly Sally is another good choice; so are nursery rhymes. Please add your ideas for fun/fluency practicing read-aloud books in the comments below! By the way, becoming a fluent reader often takes a strong growth mindset attitude from students. I will be posting more information in the future on this topic in your classroom, but be sure to check out my last blog on math activities you can do to develop growth mindset! Also, check out a past blog on literacy tools for your classroom! Looking for some consulting or PD for your teachers on any of the topics I write about? Check out more information HERE! Here we go…Blog #2! First, a HUGE THANK YOU to all of you checked out my first blog and subscribed; I appreciate you more than you can know! You will be finding out in later posts that I am a HUGE groupie of all things Laura Ingalls Wilder! I first discovered her in third grade in the Hartman Elementary School library in Omaha, Nebraska…I think it was Little House on the Prairie, but I quickly devoured that and went on to read the rest of her books. At that young age, I must have already had a love of history and journeys. I still have that original copy of LHP (below – bought in 1968) and now have all of the books she’s ever written, as well as books about her, about her family, and the Little House series stuff in general. Photo by Jason Klobassa on Flickr. Used with permission. Today’s teacher needs far more tools! I’m happy to introduce the first of many blog posts about the latest and greatest teacher resources I have found and have been using with my tutoring students, or with the students when I worked in a school. This week focuses on literacy (many more literacy resources to come in the future)…I hope these are helpful! Reading a-z: I’m sure you’ve heard of it…the website with all the leveled books…but do you know how much MORE they have? Yes, I have used this site to make leveled books in the past for my RtI students, and in the present for my tutoring students (leveled text is SO important for struggling readers! ), but I have used this website’s resources for fluency practice (they have leveled fluency practice and assessment passages), benchmark assessments, and phonics practice and assessments. The phonics assessments are particularly helpful when first working with a young and/or struggling reader as it can help you understand where this child is at in his or her phonics abilities. There are also oodles of graphic organizers for reading, as well as for vocabulary! There are so many resources on this site…I keep finding new ones! I just discovered their close reading passages…short pieces of leveled text to strengthen students’ critical thinking skills. Reading a-z is not free; a school can either buy a license for or some classrooms or a teacher can buy an individual license for their own classroom. The cost is $109.95 for a year’s license – and worth every penny; I bought a license to use with all my tutoring students. A few of my favorite literacy apps! Quizlet – I use this ALL the time with my tutoring students! When we read books, Newsela articles or other passages, if there is a word they don’t know, I add it to their personal folder in Quizlet. You can share the folder with your students, or have them join their class to study the words. I also create lists of words they miscue in fluency practice passages or assessments and use others’ lists of Fry Sight Words (you can import lists other teachers have created into your class!). These lists are great to have students practice for the first or last five minutes of tutoring sessions. After enough practice, I will have them take the test on the word. There are also games they can play with the words! I would LOVE to use Quizlet Live, but I only work with one student at a time, and this is designed for a group of students. 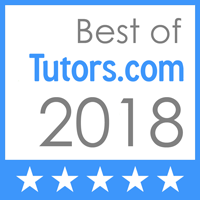 I have given them feedback that they should set it up for us tutors! Fry Words – I used the app on my iPad as my RtI students played “Around the World”. All I had to do was hold up the iPad and they would say the word. No small flashcards! This app is appropriate for all elementary grades and struggling older readers. iSort Words – Students have to sort words based on their beginning and endings. The app will keep track of how many they get right and their time. Check out a preview video HERE. Grades: 1st and 2nd grade, as well as struggling intermediate students. I can’t remember how/where I first discovered this app (based on the actual Story Cubes that come in a box), but it was many years ago when I was an elementary school literacy specialist. Being one of the few certified teachers who did not have a classroom, I was often called on to cover a classroom when a sub didn’t show up or a teacher had to leave early. I’ve always had this deep-rooted fear of being in a classroom and having nothing to do, so I quickly created a toolbox, both literal and digital, of activities I could do with any age of students. Story Cubes was always a big hit! I would put my iPad under the document camera, shake the iPad and the cubes would roll around. Once they “landed”, the students and I would discuss what the images were on the cubes. Many were open to interpretation…see my screenshot from below! Once we all decided on what the images were (I listed our decisions on the board), the students were off and writing. After a specified amount of time, I would have students partner up to share what they had so far and offer suggestions. After another amount of time, I would use a choice wheel or other fair way of choosing which students could come up and be in the Author’s Chair and share. You would not believe the variety of stories you will get, even if you have already decided on the images! Students then can have the option of taking the draft to completion or not. I developed a graphic organizer for students to use; they sketch the cube on the left and then write their description of what the cube depicts on the right. Then they plan their story. You can access this resource for FREE by clicking HERE! A variation is to roll the cubes under the doc cam and then let EACH student decide on their own what the images are, then create their story. I did this with several third gifted students, and while I let them each decide on the images, but one of them was a pyramid, so I got several Egypt stories! This app, or the actual box of cubes (which you can purchase on Amazon, at Walmart or Target and other places), would make a fantastic literacy center as well! Last but not least…a few literacy hands-on games! I love this game…and loved using it with my RtI reading groups and still use with my tutoring students! Now if I could just get my friends to come over and play it with me… This game has students trying to create words with the various cards in their hand. The more letters they can play, the more points they earn. I help my struggling readers out by telling them how many words they can make with the cards in their hands. If they immediately plan a two letter word, I ask them if they’re sure they can’t play a larger word for more points. This really gets them to think about how to put together digraphs, blends, vowels, and consonants to make words! Another fun word building game! Students are given board with either blank side or a side with words missing the first letter. For the blank side, students take turns choosing both a vowel and a consonant and try to make words with each turn. For the missing first letter side, students choose consonants and try to make words. The first one to fill up their board wins! That’s it for now! If you have also used any of these resources, please comment below and let me know what you think of them. If you try any for the first time, also comment! Stay tuned for more virtual mentoring, and in the meantime, hang in there, teachers! You are all my heroes!